The detection and evaluation of adverse drug reactions is crucial for understanding the safety of medicines and for preventing harm in patients. Not only is it necessary to detect new adverse drug reactions, but the principles and practice of pharmacovigilance apply to the surveillance of a wide range of medicinal products. 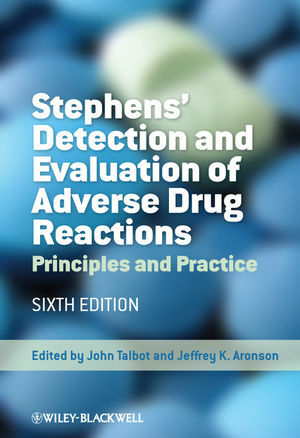 Stephens' Detection and Evaluation of Adverse Drug Reactions provides a comprehensive review of all aspects of adverse drug reactions throughout the life cycle of a medicine, from toxicology and clinical trials through to pharmacovigilance, risk management, and legal and regulatory requirements. It also covers the safety of biotherapeutics and vaccines and includes new chapters on pharmacogenetics, proactive risk management, societal considerations, and the safety of drugs used in oncology and herbal medicines. This sixth edition of the classic text on drug safety is an authoritative reference text for all those who work in pharmacovigilance or have an interest in adverse drug reactions, whether in regulatory authorities, pharmaceutical companies, or academia.